Last week, I took a trip over to the sunny Mediterranean island of Cyprus to visit one of the largest wholesale aquatic distribution companies on the island. 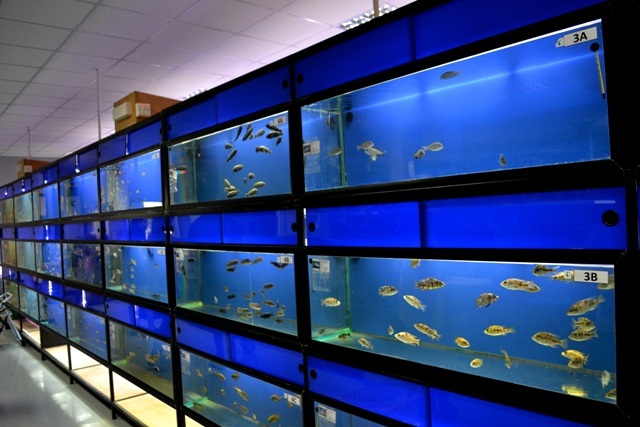 CH.A.KY Aquaristik LTD is based on a large industrial estate in the town of Aradippou on the outskirts of the city of Larnaca and is one half of two companies owned by Mr Panikos Christodoulou and co-managed alongside his son Andreas. 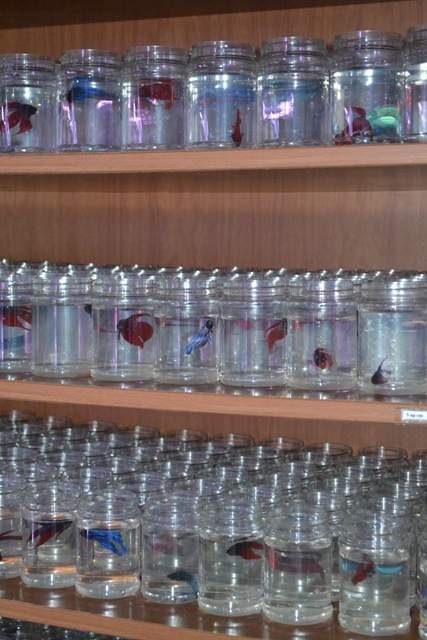 The sister company is their equally large pet supplies establishment ‘The Scarlet Macaw Pet House’ and retails a vast array of foods medications, toys and other necessities for pets. Cyprus is my paternal homeland and as a youngster I spent many years in and out of the few local pet stores (which were somewhat of a rarity then) searching for fish to ogle. One of those stores was a very small aquarium shop behind the old St Lazarus church and when I say small, I mean you literally could not swing a cat! It was rarely open but when it was I never hesitated! When I finally met Mr Christodoulou years later he reminded me of that old store and remembered my visits..
CH.A.KY houses hundreds of well stocked aquaria with a large variety of both freshwater and marine fish species including a generous collection of African rift valley cichlids, large Central and South American cichlids (including a section for discus fish), plecos of the loricariidae family and a generous assortment of oddballs including freshwater moray eels, black ghost knife fish, puffer fish, albino clawed frogs and many others! Standard of care, quality of fish and cleanliness of the aquaria were of a good standard here, even down to their Siamese Fighting Fish cabinet which contained a few hundred individual jars each hosting a single Betta Spendens in good condition, with clean water and generally appearing happy (sadly this is not a common occurrence in many places). 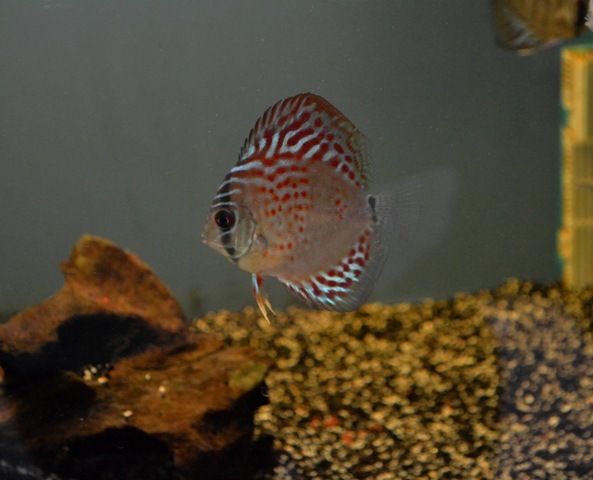 Alongside their collection of all the classic favourites, there is no doubt that this meticulous approach to aquarium hygiene is how they are able to meet the demands of an ever-growing aquatic retailer sector across the island. 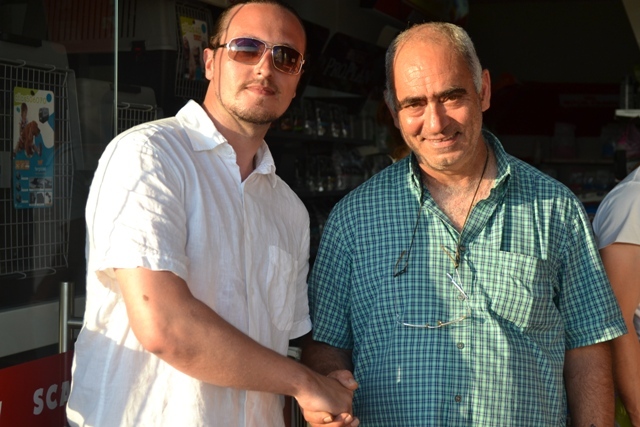 My visit here truly was a breath of fresh air and it was great to connect with inspiring individuals in the aquarium community such as Mr Christodoulou who have achieved so much. 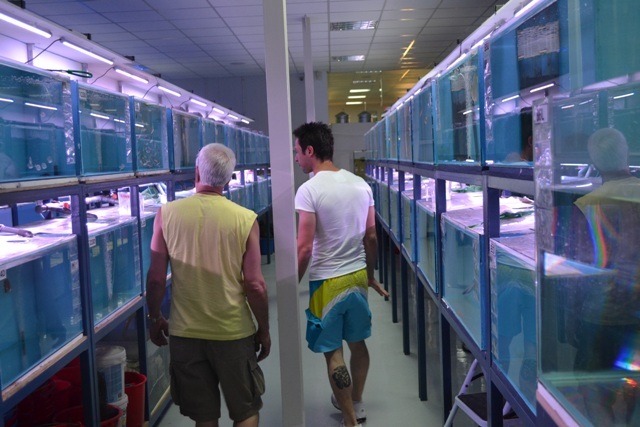 On my travels around the world I have seen many many aquarium stores, including in Cyprus and even in the UK, which just haven’t been up to standard with maintenance and care of the live animals they sell. It was a surprise to see such a contrast to this at this store if I am honest and a welcomed one at that. It is a reflection of a renewed awareness for animal, and particularly fish welfare and a wonderful example to all who visit. I look forward to return again soon.